When is the Best Time to Visit Seoul, Korea? Planning to visit Korea? Don’t leave Seoul out the mix! Korea’s capital isn’t just the country’s most exciting travel destination, but one of the best cities to visit in Asia. From its grand palaces to its traditional markets, Seoul’s got everything you’d want to add buzz to your first—or your next!—Asian adventure. Before you embark though, there’s one question you’ll absolutely need to ask yourself: When is the best time to visit Seoul? Seoul isn’t one of those easy-peasy destinations where you can just book a flight any time of the year and arrive expecting perfect sunny skies. The weather in Seoul is a bit hit or miss at times. And when you choose to go will determine whether you’ll have a grand ol’ visit or a sloppy one. Moving on after Seoul? 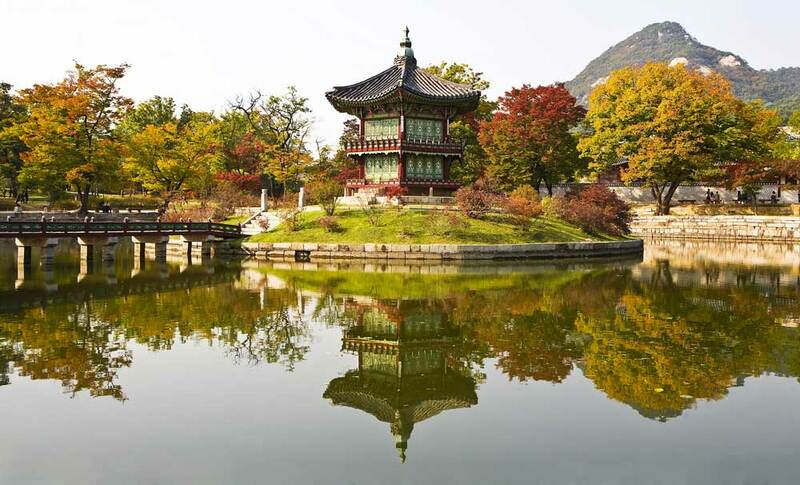 Plan out the rest of your Korea itinerary with our guide to the best time to visit South Korea! 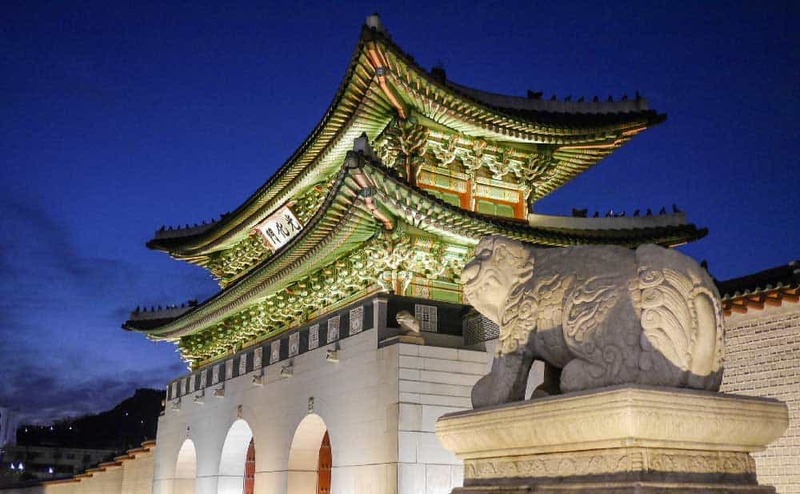 The verdict: When is the best time to visit Seoul? Why visit Seoul in April? Why visit Seoul in October? Ask most Seoulites and they’re proud to announce that Seoul is blessed with a four-season climate. For certain travellers, that news may not be so exciting! The seasons in Seoul, like many European countries or my homeland of Canada, are fairly distinct. When you’re visiting, expect hot & humid summers and cold winters. The lovely spring and autumn seasons fall somewhere between these extremes. 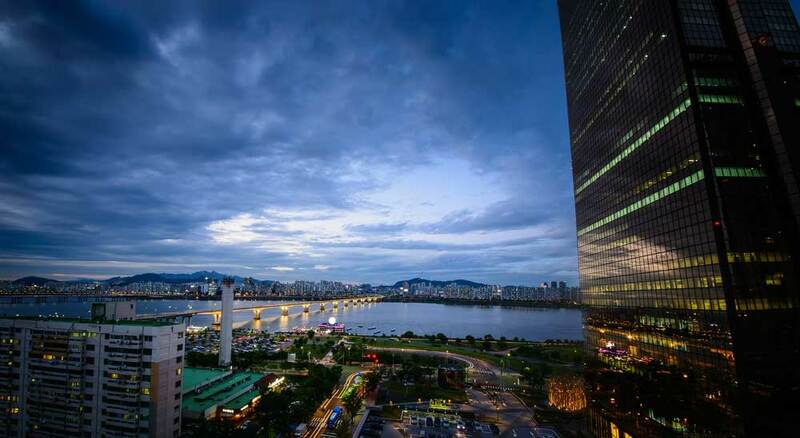 For the most part, however, Seoul’s billed as a year-round destination. While it’s probably not completely untrue, there are some times you’d do best to avoid including the Korean Lunar New Year, Chuseok, and the summer monsoon season. Ready to travel to Seoul? Don’t forget to protect yourself with travel insurance! What to expect in spring in Seoul: After snapping out of a cold winter, Seoul is an absolute delight to visit in spring. As a shoulder season, spring in Seoul’s got a lot going for it. Around the beginning of April, the Seoul cherry blossoms start to bloom, leaving the city’s parks bathed in a blanket of delicate pink flowers. The temperatures are also quite pleasant, with averages inching into the teens as summer approaches. What to wear in Seoul in spring: Even with the milder weather, you’ll want to keep some warmer outerwear or mid-layers to deal with the possibility of cooler temperatures. A comfortable fleece jacket pairs well with a waterproof jacket or softshell jacket on days when the weather isn’t co-operating. If you’re looking to hit up some of the best hiking in Seoul like Namsan or tackle some farther-flung trails on one of the best day trips from Seoul, I’d recommend taking along a solid pair of waterproof hiking shoes, especially in March when the melting snow leaves behind plenty of puddles. Looking to gear up for Seoul’s spring? Check out these reviews for the best rain jackets for men and reviews for the best rain jackets for women! What to expect in summer in Seoul: Although summer is one of the busiest tourist seasons in Seoul, it’s one of the most miserable weather-wise. Summer in Seoul is oppressively hot & humid with a massive onslaught of heavy rain that rolls in with the East Asia monsoon. Add to that big crowds, long line-ups, and higher accommodations prices and you’ll see why I’m steering you away from visiting Seoul in these dreadful months. What to wear in Seoul in summer: To stay comfortable, you’re gonna want to go light. Lightweight moisture-wicking travel pants or shorts are a great idea to keep you cool in the dead heat of summer and let you dry off quickly should a quick burst of rain dampen your spirits. You’ll want to keep a travel umbrella as well as a ultralight rain jacket handy in a top-rated travel daypack to deal with the inevitable last-minute downpours. 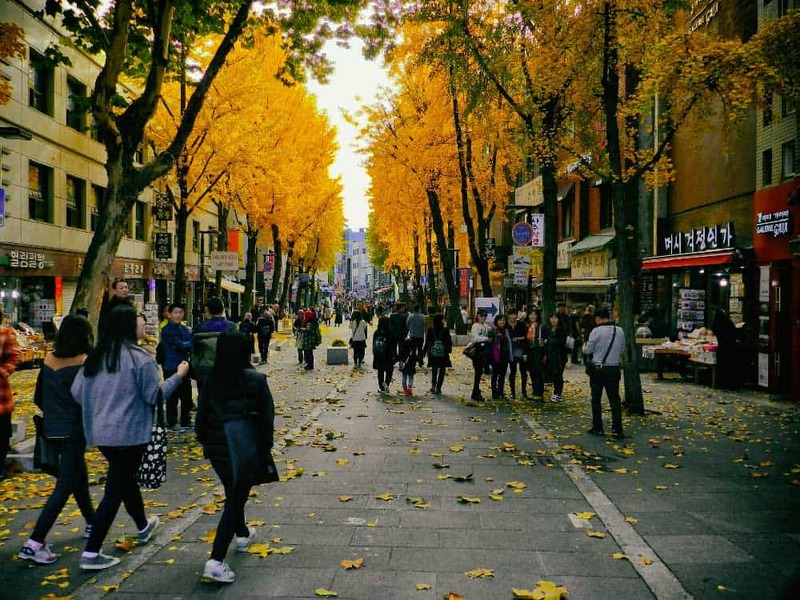 What to expect in autumn in Seoul: With the hot & rainy days of summer in the rearview mirror, autumn presents itself as, quite possibly, the best time to visit Seoul. Average temperatures are still warm to mild, and it’s one of the driest times of the year in the capital. And who could forget the biggest perk of autumn? Under a blazing backdrop of fall colours, Seoul is at its most stunning! What to wear in Seoul in autumn: The dropping temperatures from the insane highs of summer mean that you’ll need to pack a few additional layers for the autumn months. When choosing what to wear in Korea in fall, be sure to bring along a warm base layers for the cooler days. A comfortable fleece jacket or warm long-sleeved sweater paired with a softshell outer layer will work wonders here. For the odd rainy day, don’t forget to carry a rain jacket. Fall is also one of the best seasons for hiking in Seoul; pack a pair of sturdy hiking shoes to crack the city and region’s best trails. Gearing up for autumn hiking around Seoul? Check out these recommendations for the top hiking shoes for men here and the top hiking shoes for women here! What to expect in winter in Seoul: If you’re not used to cooler temperatures, the chilly days of a Seoul winter certainly won’t be your favourite part of visiting the city. Truthfully, as unpleasant as it may seem at a glance, winter’s not the worst time to visit Seoul. The relative lack of popularity in the winter months means that you’ll be able to score some great deals on your Seoul accommodations. 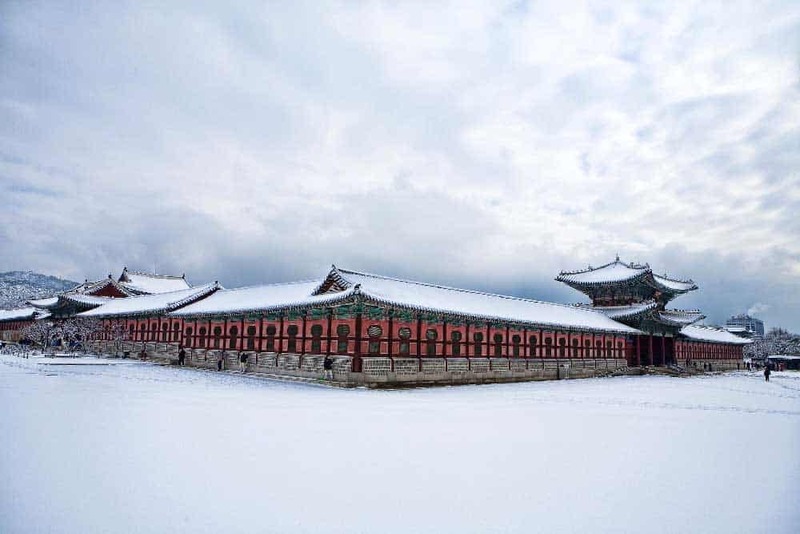 On top of that, getting to see Seoul’s palaces and temples under a soft blanket of snow is simply magical. What to wear in Seoul in winter: The cold temperatures mean that you’ll need to bundle up to stay comfortable. Bring along a warm hardshell jacket with warm comfortable base layers. For outerwear, you’ll want to bring along a knitted hat (a toque for my fellow Canadians) and pair of warm gloves to keep your hands toasty. In snowier conditions, protect your feet with a comfy pair of waterproof insulated boots. Overview of weather in Seoul in January: As uncomfortable as the cooler temperatures may be for some, January’s a decent time to travel to Seoul. Tourist crowds are among their lowest in the city (outside of the holidays, of course). The days of January are generally sunny and pleasant, and among the driest of the entire year. Visiting Seoul on a time crunch? Maximize your time with this complete one-day Seoul itinerary and our guide to the best places to stay in Seoul. Overview of weather in Seoul in February: In Seoul, the temperatures already start to get warmer by an ever-so slight margin as we enter into February. Like the other winter months, February is one of the driest months of the year. Despite the cooler temperatures, it’s a great time to enjoy the outdoors in Seoul. Avoid travelling around Korean Lunar New Year (Seollal), generally falling somewhere between late January and mid-February, as it’s one of the busy times of year to travel in Korea. Overview of weather in Seoul in March: Although the beginning of March is still feels firmly winter-like, you’ll notice a distinct warming of temperatures as the month rolls along. The new season truly starts to come to life elsewhere in the country during March, but you’ll have to wait just a tiny bit longer to get the full spring weather experience in Seoul. Overview of weather in Seoul in April: Along with November, April is one of the best months to travel to Seoul as the cherry blossoms make their first appearance around the beginning of the month. Yeouido and Nami Island, one of the best day trips from Seoul, are two of the best places to see cherry blossoms in Seoul. The weather’s improving, too. With average daytime temperatures in the teens, you can find ditch that winterwear for less bulky spring clothing. Want to witness the best cherry blossoms around Seoul? Book yourself on the Chasing Cherry Blossoms Tour! The full-day tour randomly chooses the three best cherry blossom viewing spots for any given day around Gangwon-do, Chungcheong-do or Gyeonggi-do. Overview of weather in Seoul in May: Even with the cherry blossoms long gone, the intoxicating scent and sight of spring flowers makes a good case for travelling to Seoul in May. The temperatures ramp up quite a bit, placing May firmly into the warm weather category. If you’re looking for dry conditions and sun, there’s a good chance you’ll get it in May. Don’t take it lightly. The Seoul weather’s about to take a nasty turn! 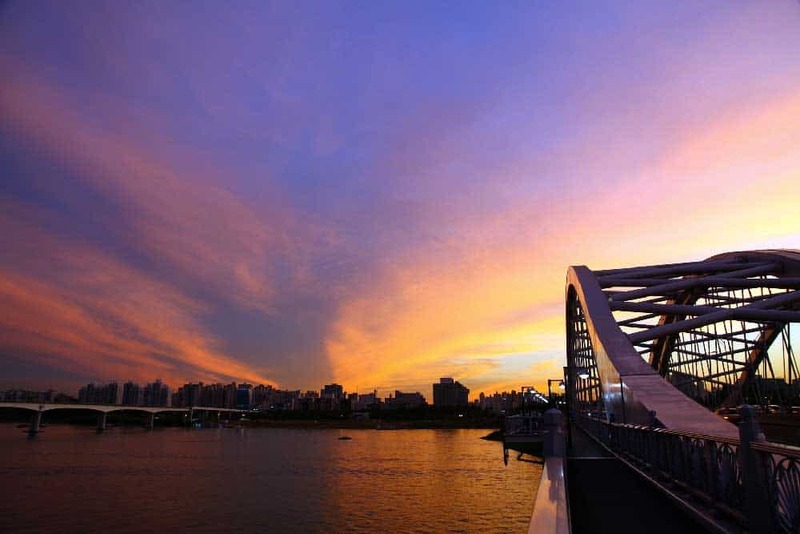 Overview of weather in Seoul in June: For the first part of June, visiting Seoul is still quite beautiful. Temperatures continue to warm as the first official days of summer near. The problem comes towards the end of the month when the East Asian monsoon rolls over the peninsula, bringing with it a torrent of nasty wet weather. Be prepared! Overview of weather Seoul in July: I don’t want to sugarcoat it. July is a fairly miserable time to travel to Seoul. Rainfall is almost 2.5x higher in July than June, and the heat and humidity that starts to engulf the capital can be tiresome on the traveller’s soul. You’ll no doubt feel an urge to spend more time indoors than out, cooling down in the air-conditioned comfort of Seoul’s cafés, malls, and museums. Overview of weather in Seoul in August: Like July, the summer month of August isn’t one of the most comfortable times to plan a trip to Seoul. The dead heat and sticky conditions don’t bode well for a comfortable journey. As you’d expect, the extreme humidity drags along its fair share of rainstorms. August is the second wettest month of the year in Seoul. Overview of weather in Seoul in September: Shedding its summer monsoons, Seoul becomes far more pleasant into September. Temperatures start to tumble for the better, reaching more reasonably comfortable levels. Rainfall finally starts to die down, leaving the great outdoors in and around Seoul waiting for you to explore. Keep in mind that Chuseok (Korean harvest moon festival) usually falls in September. Along with the Korean Lunar New Year, this is one the country’s biggest holidays, and one of the worst times to travel. Overview of weather in Seoul in October: The warm days of September roll into the mild & dry days of October, one of the best months of the year to visit Seoul. Temperatures are comfortable, but you’ll start feeling a crispness in the air, especially towards the end of October. This is a good thing as the cooling temperatures usher in the beautiful fall colours that paint Seoul in bright shades of yellow, red, and orange. Undoubtedly, this unfolds the city’s loveliest scenes. Overview of weather Seoul in November: By November, you’ll feel a distinct chill as winter nears. It’s still a pleasant time to visit Seoul, though. The bright fall colours usually hit their peak in Seoul in late October to early November, creating a lovely atmosphere around the city. Other than the three colder winter months, November is the driest month of the year in Seoul. Overview of weather in Seoul in December: The first official month of winter ushers in colder temperatures in Seoul. Despite the chill in the air, the days of December and dry and sunny. Bundle up to experience the month to its fullest! The best month to visit Seoul is April or October. As the first month fully freed from the grips of the chilly Korean winter, April is a wonderful time to travel to Seoul. Not only are temperatures becoming increasingly more pleasant, April is relatively dry compared to the summer months ahead. Of all the reasons to visit Seoul in April though, none is more compelling than getting to witness the cherry blossom season in Korea. The light pink blooms create a wispy scene throughout Seoul that paints the city at its best. 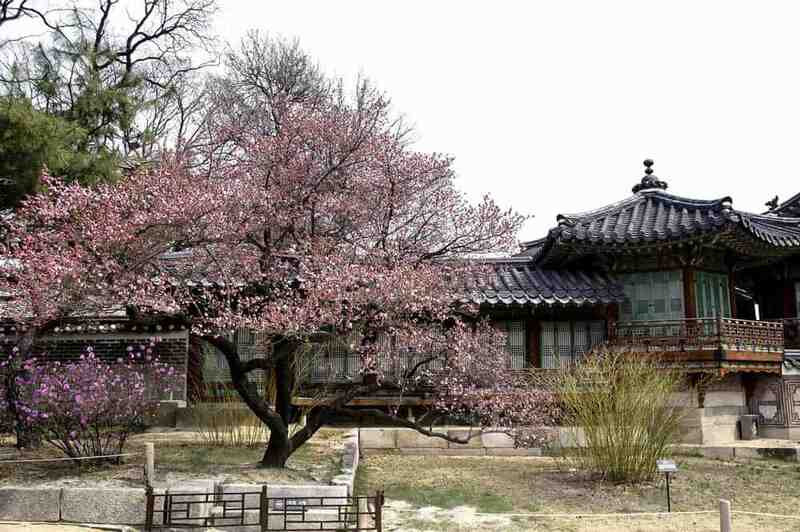 Some of the best places to check out cherry blossoms in Seoul include Yeouido Park and Changdeokgung Palace. 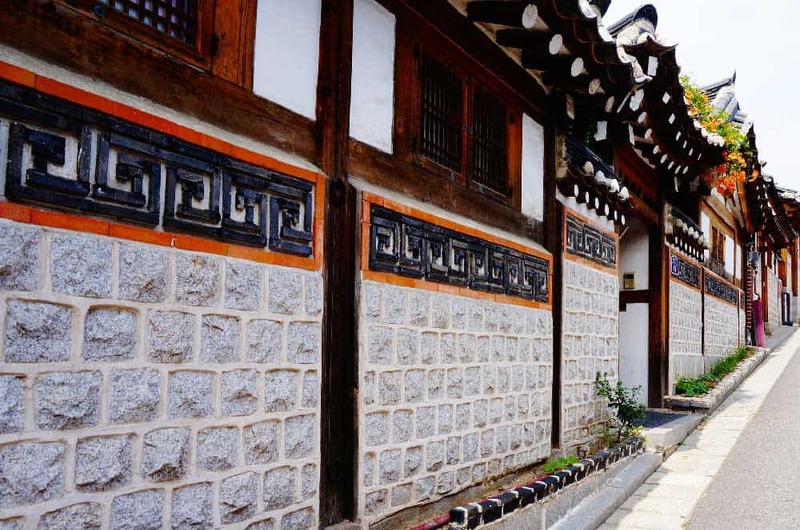 With the summer monsoon season long behind, October is, along with April, perhaps the best time to visit Seoul. Temperatures in Seoul in October are mild to cool, yet still comfortable—especially considering the hell-storm of the summer. You’ll need to dress warmer, preferably in layers, but that shouldn’t stop you from taking on Seoul to the fullest. The real reason to visit Seoul in October, however, is for the fall colours. Along with the spring cherry blossoms, seeing the fall foliage erupt showcases Seoul at its most beautiful. The peak autumn viewing season crops up towards the end of October.